Product information "Gonso Hamina W Merino Longsleeve Women graphite"
The long-sleeved cycling jersey Hamina is pleasant to wear thanks to its contribution to Merino Sportwool ™, while at the same time offering high thermal insulation and breathability. Small gadgets such as chest pockets and zippered back pocket make the Hamina a perfect companion for winter cycling tours. 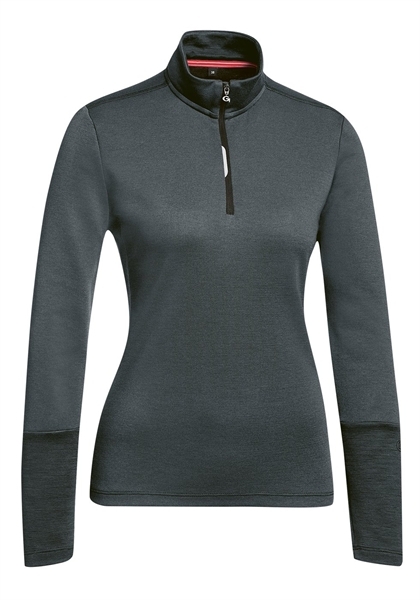 Related links to "Gonso Hamina W Merino Longsleeve Women graphite"
Customer evaluation for "Gonso Hamina W Merino Longsleeve Women graphite"